With all the major press conferences completed, we now have a complete list of all the new games that were announced at E3 2016, and we’re listing all of them below with trailers/gameplay and a few bits of information. Note that we’re only including here games that were announced at or in the lead up to E3. The latest game from NetherRealm Studios will once again feature DC characters beating each other to a pulp. Players will now be able to personalise characters with unique gear, altering how they look, fight and develop across a variety of game modes. The story sees Batman and his allies work to put the pieces of society back together while struggling against those who want to restore Superman’s regime. The roster will include Batman, Superman, Supergirl, Aquaman, Atrocitus, Gorilla Grodd and more, with battles taking place across locations such as Metropolis, Gotham City and Atlantis. Watch Dogs 2 has been leaked little by little over the last few weeks, before Ubisoft unveiled the game a few days before E3. The new game moves to San Francisco and follows the exploits of hacker Marcus Holloway, who, along with the rest of the DedSec collective, will wreak havoc around the new open world with high tech gadgetry and powerful hacking abilities. Bethesda kicked off its press conference with a cinematic trailer for Quake Champions, an arena-style multiplayer shooter that will bring the iconic franchise to a new generation. The competitive shooter is built for eSports, and will be blazingly fast on PC, running at 120hz with unlocked framerates. While one half of Arkane Studios is bringing us Dishonored 2 this year, another part of the team is reimagining Prey with a psychological twist. Set in 2032, Prey sees protagonist Morgan Yu waking up aboard the Talos 1. While there, he must uncover the secrets within the space station while being hunted by an alien force that has taken over. The third installment in the brilliant racing franchise is pulling out all the stops. Forza Horizon 3 has players exploring rugged Australia in over 350 cars, including new classes. Up to four players can play together through the game’s campaign, and Xbox One and Widows 10 players will also be able to play together. It started out as a mini game within The Witcher 3, but by popular demand, CD Projekt RED is releasing Gwent as a standalone strategy card game, featuring revamped visuals, a dedicated campaign mode, and multiplayer. Frank West returns as protagonist in the latest installment of the franchise that made it okay to rush into a horde of zombies dressed in women’s yoga clothing and wielding an elemental staff fashioned out of a traffic signal. This time Frank will also be able to don EXO suits for extra strength and firepower. Think of Trials’ challenging physics based obstacle courses on two wheels, then remove all semblance of seriousness, and throw in Far Cry 3: Blood Dragon’s over-the-top 80s neon cheese. That’s Trials of the Blood Dragon for you, and it’s out now. Steep was Ubisoft’s surprise announcement at E3. Developed by its Annecy studio, this is an extreme adventure sports game set in the European Alps that sees players skiing, paragliding, wingsuiting and snorboarding down a variety of peaks. A big focus is the first/third-person game’s social element, which encourages players to share replays and routes and drop challenges for their friends. It’s been a long time since we’d seen a new game from Sony Santa Monica, and now we finally do. God of War is a reimagining of one of PlayStation’s most iconic franchises. 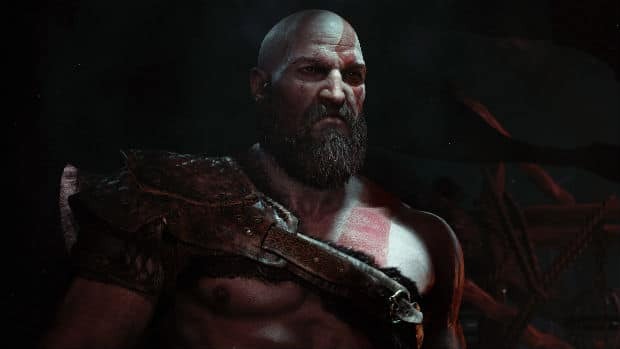 It sees an older Kratos and is set within Norse mythology (since all the Greek gods have been dispensed with). There are huge changes on the gameplay side too, with a new closer, third-person perspecitve and controllable camera as well as what appears to be a deep role-playing system. And while it won’t be open-world, creative director Corey Barlog promises levels will be large and open. A studio famed for the Syphon Filter series and more recently for PSP and PS Vita games, Bend Studio finally gets its crack at the PS4. Days Gone is a an open-world sandbox action adventure game set in a world overrun by zombies. That might sound like a concept that’s done to death, but it didn’t make its E3 gameplay demo (skip to the 1h 38m 35s mark) any less thrilling. Rumours of an RE7 announcement at E3 were confirmed, but there were still quite a few surprises in store at its reveal. First up, the game is entirely first person and is also fully playable in virtual reality. Secondly, it won’t star one of the series regulars, but rather a new character. Lastly, a playable demo for the game is avalaible right now for PS+ subscribers on PS4, so you can check it out before its January release. We knew Hideo Kojima was working with Sony for his first game since leaving Konami, but we didn’t know he would announce it as early as this E3. Kojima describes Death Stranding – starring Norman Reedus whom the developer was previously set to work with on Silent Hills – as an action game, but when it comes to a Kojima game, it’s never that simple. It looks like we’ll be waiting a long time for this one since Kojima said the studio is still to finalise a engine to build the game on. We all thought it would be Sucker Punch who would be announcing a new Spiderman game, but instead its an equally accomplished studio, Insomniac Games. The PS4 exclusive will be an open-world title and tell a story independent of the comic books and movies, but little is known besides this and what was shown at E3. In fact, the game doesn’t even have a title yet. Which of these new announcements are you most excited about?